Transportation Costs > How Much Does Valet Parking Cost? How Much Does Valet Parking Cost? Many upscale restaurants, hotels, and airports may require you pay for valet parking; however, most of the time it will be optional. On the other hand, some people who want to run an event may be looking to hire a valet service to make parking a lot easier for their guests. Valet services, in general, are going to charge the party based on how many people will be attending as well as the size of the party. Other factors that will be included in the pricing will be the insurance the company must provide, the time of the day, and the time of the week. Peak seasons can generally cost more as well. 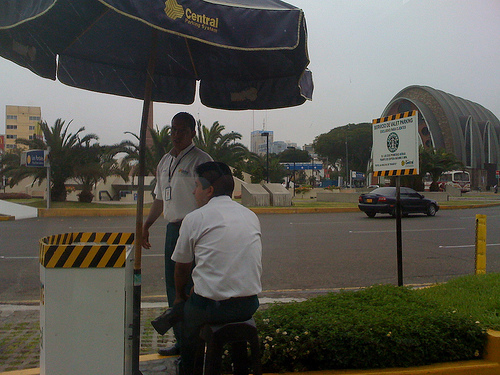 On average, the valet service is going to charge anywhere from $15 to $40 per hour, per attendant. Valet parking companies will generally require one valet attendant per 30 to 50 guests. If you’re going to have a party of 300, for example, five to six attendants will be needed, making the total around $200 to $450 per hour. You would want to multiply the length of your party and this should offer an idea what you should be able to budget. When traveling to a hotel, airport or a restaurant, the cost will be up to $30. Some places, however, offer the service free of charge. Most hotels and airport are going to charge, while your restaurants are going to just require a tip. For example, the Orlando International Airport charges $25 for valet parking. Sporting events generally command higher prices. At a baseball game, basketball game, or any other professional sporting event, valet parking can be as much as $75. A professional company will supply all the attendants as well as the protocol to ensure that your event runs smoothly. Most companies will run the proper background check to ensure that the workers meet company policy. A good company should offer general liability insurance and workers compensation. This will vary between companies, so it’s important to know what kind of coverage you will get. Most companies won’t cover theft, vandalism and weather-related damage. A valet is going to allow you to leave your car at the entrance where it will be taken and parked for you. He or she will then bring your car back to the door when you are ready to leave. Valet services will often cater to weddings, private dinners, special events, charity outings and corporate events. How much to tip valet parking? While optional, most valet attendants are going to expect a tip. On average, a tip should be $2 to $6, depending on the situation. If the weather is bad, and the valet has to go far, then a higher tip may be necessary. If the attendant doesn’t have to travel far, then a smaller tip may be acceptable. Most car manufacturers create a valet key. Be sure to give the valet this special key since it can only start the car and won’t be able to open the glove box. When choosing a valet service, know the company. Be sure to check references and ask about the company’s background. Also, create a list ahead of time and make sure this company will be able to meet the demands. If valet services are optional, then skip it. Most of the time, the parking in the area is going to be a lot cheaper than having someone take the car for you. Most professional services will offer discounts to those that book multiple events. Compare at least 3 companies if you’re going to hire a service to host your wedding. The more quotes you get, the more you’re going to be able to save. When comparing, make sure that these valet workers are going to have a background check performed on them. The last thing that you want is to have items stolen from inside the vehicle.